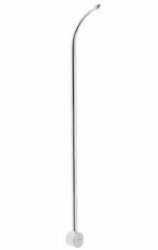 We are a leading Exporter of extracapsular cataract extraction set, intracapsular cataract extraction set, microsurgery cataract and iol set, microsurgery ecce-phaco emulsification set, microsurgery glaucoma set and slit lamp from New Delhi, India. 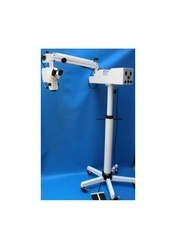 Being counted among the established names in the industry, we are engaged in offering slit lamp to our revered customers. The offered slit lamps are designed in tune with the industry standards using high-grade materials and sophisticated technology. 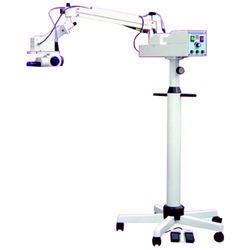 With their outstanding design and energy efficiency, these slit lamps are highly demanded by the customers. 3. Real fields of view of 23mm to 5.6mm dia. 5. Slit width from at least 0 to 14mm continuously variable. 6. Slit length 0 to 14 mm continuously variable. 9. Operate from 200 to 240vac, 50 hz input supply. 12 a lateral movement of at least 95mm. 13. A vertical movement of at least 30mm. 14. A chin rest vertical movement of at least 55mm. 15. Good illumination using halogen lamps. We are among the preeminent names in the industry, engaged in offering Trial Lens Set to our valuable customers. The offered lens set is precision engineered under the close supervision of experts with the aid of high-grade materials and sophisticated technology. The set can be fitted onto the devices with ease and requires low maintenance. Backed by our rich domain expertise, we are engaged in offering Ophthalmic Synoptophore to our esteemed customers. The offered device is designed keeping in mind the exact requirements of the customers in strict compliance with the prevailing industry standards. 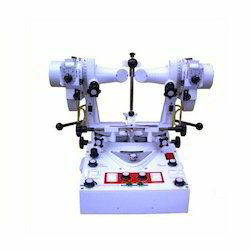 Premium quality materials are procured from established vendors in the industry for manufacturing these devices. 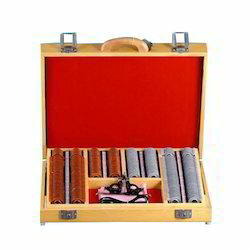 Our vast industry experience has led us to offer Portable Microscope Model to our revered customers. 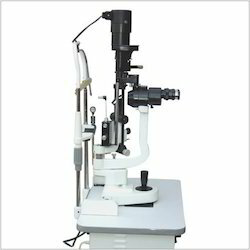 The offered microscope is designed as per the established industry standards and provides optimal performance. It comprises of magnification changer, halogen lamp & eye pieces and delivers commendable performance. 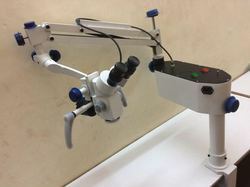 We are among the reputed names in the industry, engaged in offering Surgical Microscope to our revered customers. 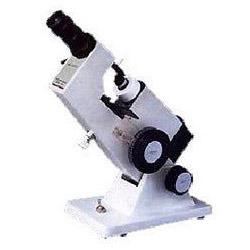 These microscopes comprise of a tiltable binocular and their height is adjustable. With their outstanding design and user-friendliness, these microscopes are highly demanded in the market. Our vast industry expertise has led us to manufacture, export and supply Ophthalmic Lens Meter for our esteemed customers. The offered device is designed in strict compliance with the industry standards and delivers optimally in terms of quality & performance. Owing to their accurate results and user-friendliness, these lensometers are highly demanded by the customers. Looking for Eye Surgicals Instruments ?